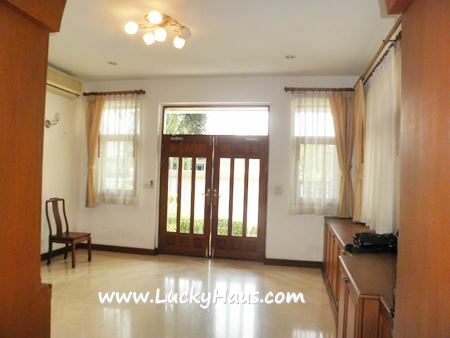 The contemporary single house renting on PATTANAKARN area, 3 Kms. 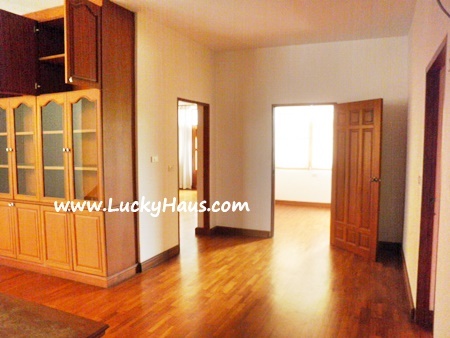 to Hua Mak airport rail link, 200 Sq.wah., 320 Sqm., 2 storeys, 4 bedrooms, 3 bathrooms (2 bathtubs). 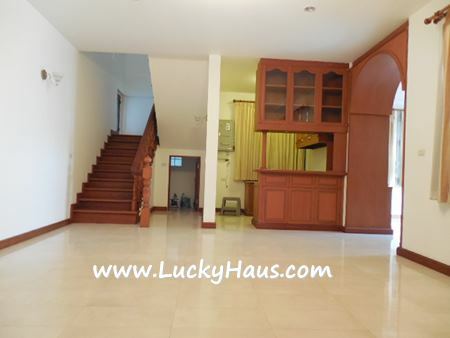 Adjoining SRINAKARIN & MOTOR WAY...very convenient to airport, TEAK WOOD all over the house, spacious each room, VERY DIVISIBLY. 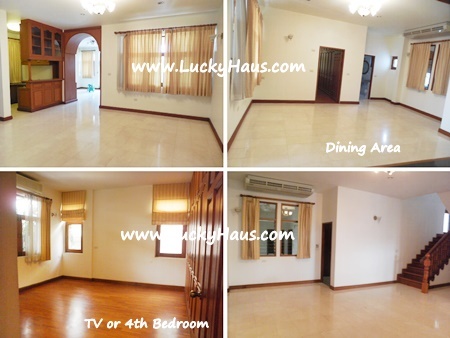 1st Floor - Separate living area with many storages & display cabinet, separate dining area with counter bar, 1 room could be TV/study/guest room, 1 bathroom, 2 kitchens, big maid room with own bathroom. 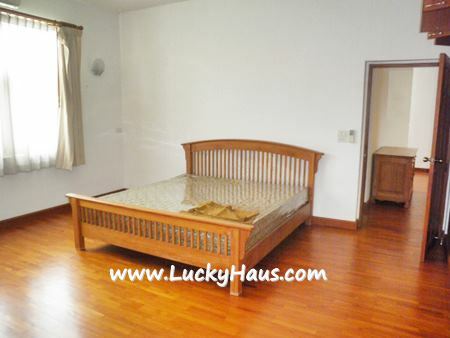 2nd floor - Master bedroom with bathroom, 2 big bedrooms with shared bathroom.